In the 30,000 hectare Cumbaratza Mining District, there are 16 companies listed as having mining operations currently underway, with approximately 30,000 miners, though some of these companies have not yet commenced operations. The potential of the mining industry in Ecuador is immense. For example, Corriente is a company which has plans for a 5,000 tonne-per-day (tpd) starter operation that will utilize only 110 million of the 600 million tonne deposit outlined at Mirador and will produce approximately 132,000,000 pounds of copper, 30,500 ounces of gold and 376,000 ounces of silver annually. Phase two at Mirador will see the operation grow to 75,000 tpd utilizing 330 million tonnes of ore and producing approximately 310,000,000 pounds of copper, 70,000 ounces of gold and 864,000 ounces of silver annually. 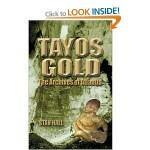 The first chapter of this book will shed some light on part of the history of the first mining project we are proposing. The story in the book may be classified as mystery/history/occult, but ignore all that and take notice of the lab reports and comments about the amount of gold present (see the letter on page 11): 400 grams per ton! We rarely talk about these figures because they are so high. We play it extremely conservative when we talk about 2 grams / ton. Juan Moricz, the subject of this book, was the founder of the company (Cumbaratza) that presently holds the concession rights we plan to invest in. The facts remain that this mine is still available for us, and that to date little has been mined from this large, proven gold reserve. Plus, do not forget about the other mine in Peru, where we already have the concessions, and which may prove to be even richer than the Cumbaratza mines! 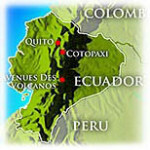 www.EcuadorMiningNews.com for update news on Ecuador mining.